First issued in 1793 with the Flowing Hair design, they were replaced the following year by Engraver Robert Scot’s Liberty Cap motif. 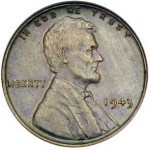 They went through design, weight and edge-marking changes much like those of contemporary cents. The last Liberty Cap and Pole half cents bore the date 1797 but were probably struck through 1799. Half Cents dated 1800 were the first to bear Scot’s Draped Bust design. This amply proportioned Liberty was based on a drawing by the great artist Gilbert Stuart and portrayed a ranking Philadelphia society leader and beauty, Mrs. William Bingham. Stuart, perhaps the most famous American portrait painter of his time, finished his sketch in 1795. Determined to eliminate the existing Flowing Hair designs, Mint Director Henry William DeSaussure promptly ordered John Eckstein to make bas-relief models from Stuart’s drawing. In Eckstein’s hands, what started out as a beauty emerged as a distinctly dowdy matron. The new Liberty appeared on the 1795 dollar and on minor silver coins and large cents in 1796. 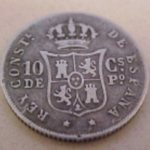 Typically, it was placed on the half cents last in 1800, with LIBERTY above and the date below. The new coins of 1800 continued the existing wreath reverse already in use, and plain edges were standard for the design. The laurel wreath is a close copy of that appearing on 1797 cents, showing 16 leaves on the left branch and 19 on the right. Branches and leaves were impressed into the dies with a single, prepared punch, with berries and stem ends added by hand. Sometimes the stems were accidentally omitted by overworked Mint coiners. 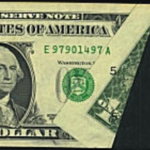 With UNITED STATES OF AMERICA at the border, HALF CENT at center and fraction 1/200 below, the design was complete. Like the large cents, Draped Bust half cents boast many minor varieties. The general collector following popular guide books will be satisfied with the major “naked eye” varieties. Coins of 1800 are uncomplicated, though about 10% were struck on stock made from cut-down large cents rolled out by the Mint’s horse-powered mill, with the balance made from England’s Boulton and Watt Co. planchets. Demand for this denomination was light, and no half cents were struck dated 1801. Between 14,000 and 20,000 coins were struck after the 1800 obverse die was overdated to 1802 and combined with two different reverse dies. A very small number show the 1797 reverse with its single leaves at top. A far larger number show one leaf at left top, two at right. All 1802/0 half cents were struck from rolled-down, spoiled cents. The coins of 1803 show minor varieties of the fraction. 1804 is a far busier date with either plain or crosslet 4’s in the date and reverses with or without stem ends. The infant U.S. Mint was still suffering from a crippling shortage of high quality die steel, and half cents dated 1804 continued to be struck through 1806. Many of these backdated coins display the boldly visible “Spiked Chin” with its sharp projections into the field from chin and lips, the result of damage to the die. Half cents of 1805 include the medium 5 obverse combined with a stemless reverse and large or small 5 obverses with stems. Coins of 1806 show a small 6 with or without stems and a large 6 with stems only. Just one variety exists for 1807, distinguished by a very tall 7 apparently intended for cent coinage. In April, 1807, German-born John Reich joined the Mint staff after escaping from indentured service with the generous aid of a Mint official. He began work at once on wholly new designs for several denominations, but the Scot Draped Bust half cent was inexplicably continued, with three varieties dated 1808. Some 400,000 were struck, although there were 167,000 half cents already sitting idly in storage. Coinage of this final date began with a bold 1808/7 overdate. 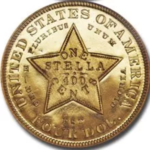 Later coins were struck from a die in storage bearing only the digits 180 and to which the final 8 was added by overlapping two small `o’ punches to create the Tall 8 variety. The hard-driving Reich worked his way around to half cents late in 1808, and his Classic Head made its first appearance on the denomination in 1809. By then a total of 3,416,950 Draped Bust half cents had been struck, all at the Philadelphia Mint. No proofs or presentation strikes were made. All dates of the Draped Bust series are rare in full, mint red. Type collectors will most often find spotty, red examples of the 1800 and 1806 issues. Hoards surfaced of these two dates, the 1800s from one found in Boston in the 1930s and the 1806s from dealer Henry Chapman’s discovery around 1906. Generally the most attractive pieces available today display an even, glossy brown. Striking quality varies with die states, and dies were often used far beyond their prime. Many surviving coins show varying degrees of wear, and both mechanical damage and active corrosion readily attack the soft copper. Wear first appears on the hair behind Liberty’s ear and on the drapery at her shoulder. On the reverse, check the leaves near the S and the second T in STATES. 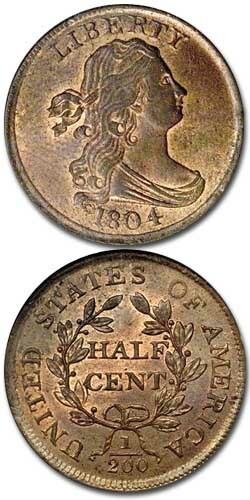 While large cents were heavily researched even in the 19th century, the number of meaningful studies of half cents can be counted on the fingers of one hand. The slow development of collector interest is mirrored by the long years of service seen by Ebenezer Gilbert’s 1916 handbook, The United States Half Cents. Only in 1971 did a modern work appear, Roger S. Cohen’s American Half Cents, the Little Half Sisters. Walter Breen published his Encyclopedia of U.S. Half Cents in 1983, the most thorough treatment of this long-neglected series to date. One positive result of this neglect is that Draped Bust half cents are comparatively undervalued today, an interesting contrast to large cents or early silver coins of the same era. The coins provide a window through which today’s collector can catch a glimpse of the country’s exciting years of early growth and development. 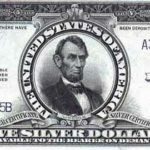 What can you tell me about the 1854 U.S. half dollar?